What do you do when you feel adventurous? Do you bungee jump? Or sky dive? Or go for an EdgeWalk on Toronto’s CN Tower? Meh! Do you know what I do? I deliver a task or a project right on deadline. Have you ever felt that adrenaline rush when you HAVE TO finish something today but you have a long way to go, yet, you put in your 200% effort (if there is such a thing) and deliver on time? It gives so much high! 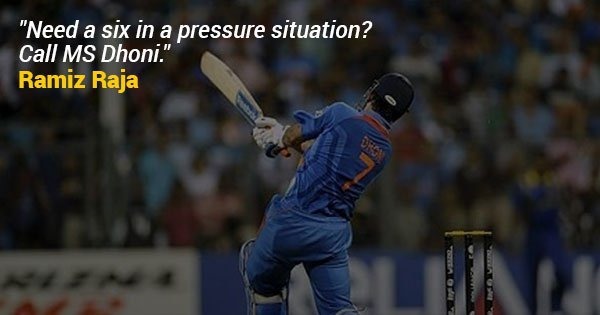 I sometimes feel like Mahendra Singh Dhoni. For the uninitiated, Mahendra Singh Dhoni is the captain of the Indian Cricket Team. He is famous for two things – (1) To keep his calm even in the toughest of the situations (2) To stretch an easy win unnecessarily, increase the tension and seal off a win dramatically by hitting a sixer of the last delivery. He does this again and again. And again. I also do somewhat similar when it comes to delivering my tasks. Take my own time, keep calm and then slog on when the deadline is fast approaching. It’s a shame that people like it only when Dhoni does that. Anyway, what I was trying to say was that there is absolutely no reason to panic when deadline approaches. All you need to know is this. 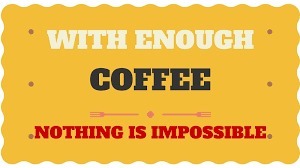 Couldn’t agree more… All you really need is Coffee (as I take another drink right now). In college I had to write every week a new exercise of style composition (Mozart style, Bach style, etc) and I could never ever get myself around doing it on weekends. So, on the day of my composition class, I’d go at the Music Academy, find a piano, first thing in the morning at 6 am (hard to find a piano later) and start writing my best exercise – the class was at 10 am, I even had time to eat a pretzel 🙂 Funny how inspiration and effort work best on adrenaline. Nice presentation. Thanks and congrats.